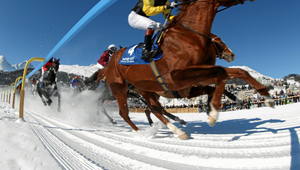 At Mountain Leap we pride ourselves on delivering bespoke and unforgettable corporate ski weekends. With permanent staff based in the French Alps, we know and love the resorts we ski. This in-depth local knowledge means that we can create a unique high impact event that perfectly matches your company’s objectives. We will ensure you choose the right resort and activities to make your event unforgettable. From opulent corporate entertaining in the world’s finest ski-in, ski-out hotels in glamorous Courchevel 1850 to the more intimate surroundings of a boutique hotel in the quiet sophistication of Megève, we have the knowledge, contacts and expertise to get it exactly right. We believe there is no better way to entertain your clients and forge new business relationships than through a perfectly run corporate ski weekend. About half of our clients opt for 3 night weekend skiing breaks commencing on a Wednesday or Thursday. The others book their events for longer periods. The advantage of a ski weekend is that large groups can be accommodated and since the trip runs over the weekend there is the minimum of the out of office period. 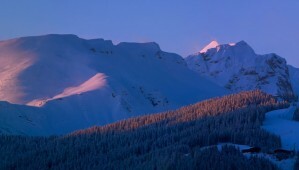 The traditional ski weekend though can be elongated to 7 or more nights stays. Our larger clients quite often need to entertain different sets of guests either from within different departments or clients served by different business units. With 7 or more night stays, we can find more hotels who are willing to allocate beds and with our own in house transfer company we can organise seamless midweek change overs. In either case though, we enjoy delivering ski weekends or longer group ski trips and the amazing activities that are available in the Alps. In the resorts we visit many different activities are available and we encourage our clients to think about including them when planning a ski weekend. As if skiing and snowboarding, lovely hotels, and fine mountainside lunches and dinners aren’t enough, we can help your organise some additional and exciting activities that go beyond the traditional downhill sports. Arranging ski weekends for client entertaining or corporate hospitality requires clear planning and intimate knowledge of ski resorts, accommodation and local people. Because we are the only ski events company with full time permanent staff and offices in the Alps, we have the professional knowledge required to plan and deliver all sorts of Ski Weekends. Our office and ground staff have many years of experience. 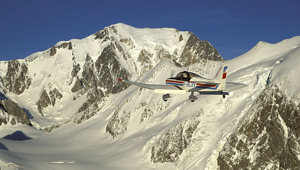 We know and love the resorts we ski in and we deliver first class short breaks in all the resorts we visit. The many and varied resorts of the Alps lend themselves to different kinds of ski weekend. We believe that entertaining your clients requires different qualities from a resort than motivational or teambuilding event for your staff. The reaons for this come down to the type of atmosphere a resort might have and the acommodation and activities available. Entertaining your clients requires a level of luxury and sophistication. The aim is to get to know your clients better and spend some quality time with them. A resort like Courchevel 1850 has some of the world’s finest hotels and exceptional, stress-free skiing, ideal for subtly impressing your clients. Otherwise, you may feel that a smaller resort and a personal, boutique hotel is more fitting to your style – in this case, Megève would be an ideal choice. Our knowledge of the Alps means that we can create the perfect match between your ski weekenddestination and your company and clients. Once we have discussed with you your aims and your invitees, we will choose the ideal resort and accommodation to ensure your ski weekend is a roaring success. Thank you guys again for organising another great trip. As always, it was an amazing feat of organisation.